Wooden 6 bottle large box with slide lid - Poole & Sons, Inc. 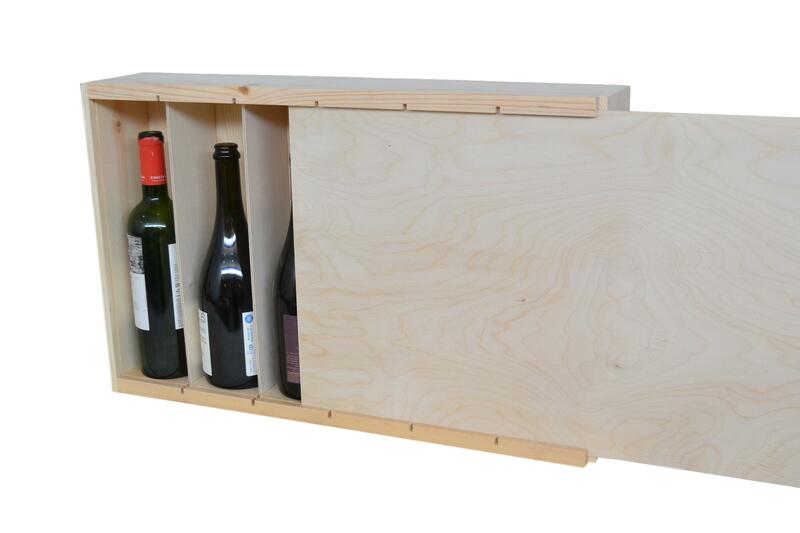 This Wooden 6 bottle large box is a wonder in design, made from western pine with a slide plywood lid and dividers. 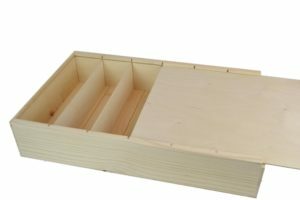 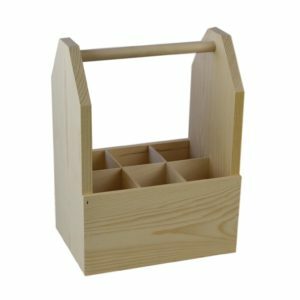 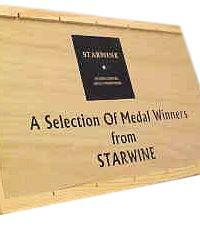 A few uses for this box would be storage of your wines or beverages, in store display box, and it also makes a wonderful gift pack box. 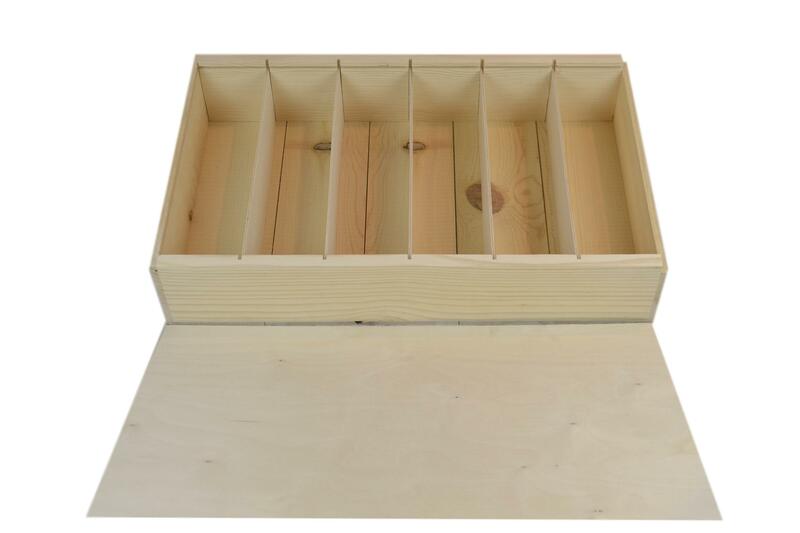 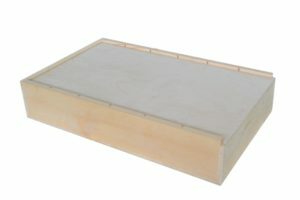 This box is stackable and can display your logo upon the lid. 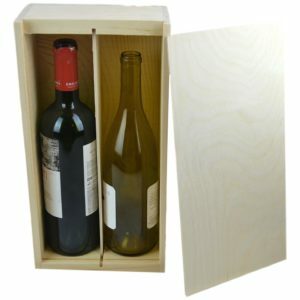 The dimensions on this box are 24 x 14 x 4″ inside dimensions and has inside dividers at 4″ wide fitting 6 larger wine bottles overall. 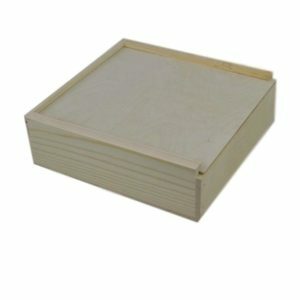 You can customize this box with your own artwork. 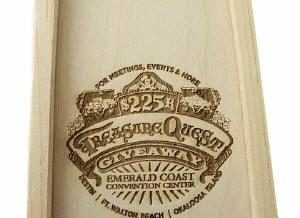 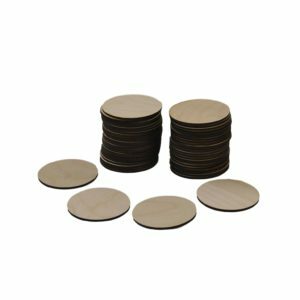 We offer digital printing and laser engraving for an additional fee. 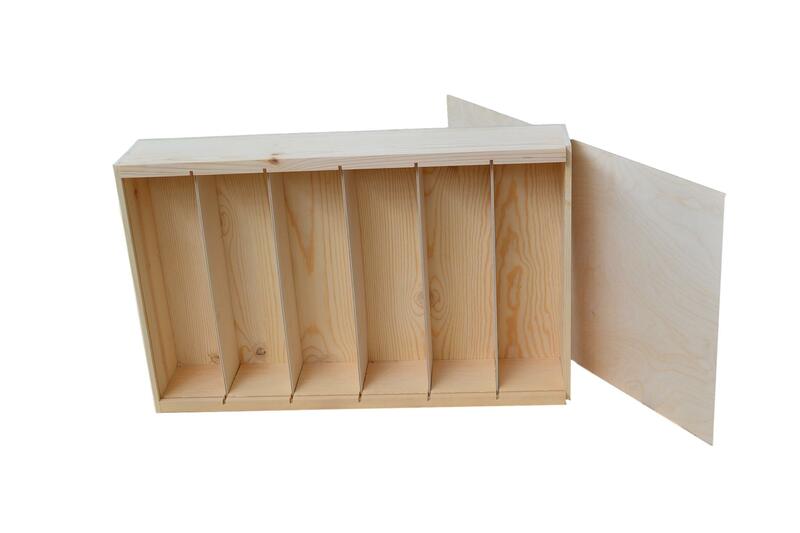 Please call us toll free for a custom quote, 877-365-3880.